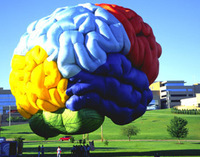 Don't blow your brains out - blow your brain UP! 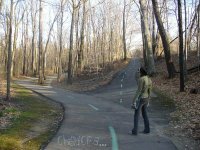 My friends - this is one of those random, you can't explain it, you didn't see it coming, you don't why it happened - blessings. Figure it out, plot, plan, scheme, dream and take action. As your friend - I encourage you to sign up for this FREE workshop. Here's some pictures of the place. The campus is magically nestled in the hills of Austin. Wizard Academy is offering a Free Public Seminar on Tuesday, February 12, 2008 in palatial Tuscan Hall. The class will begin at 9:00AM and wrap up around 5:00PM. Aside from learning some communications basics about what works, what doesn't, and why, – and therein the secrets of effective advertising, lectures, sermons, art, and positive reinforcement – attendees will also see tantalizing previews of new courses in development at Wizard Academy. What makes people do the things they do? Can advertising really change how customers think and feel? The simple truth is that most advertising isn't working like it should. But why not? People travel astoundingly long distances to attend these free public seminars. (India, Sweden, Australia, the Philippines. Seriously.) It's always lots of fun. Robyn and I are headed to Cali to vist the kids. Thanksgiving at Lauren and Saif's place...Venice Beach...then a couple of days with Nick in Santa Barbara. I'll have my little iPhone - so if you need me, give me a call, 832-797-1779 and I'll be checking email too. 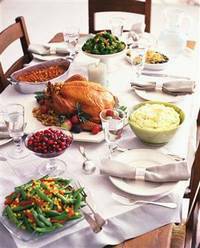 I want to wish you and those you love a safe and bountiful Thanksgiving Holiday. Amen. I am thankful for so many things....I'd like to thank those who work with me at the beehive. I sincerely thank you. You RULE! The Thanksgiving Holiday schedule wreaks a bit of havoc on the Team Meeting schedule. No worries though, focus on your loved ones. 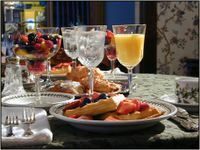 Our next Team Meeting will be a breakfast meeting at The Grotto Ristorante at Market Street - yummy. Michael Carroll with David Power Homes will be sponsoring out breakfast fun-fest. 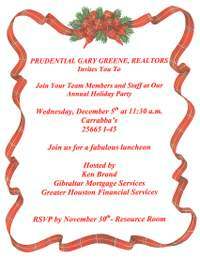 Remember to sign up for our Holiday Luncheon - Wednesday, December 5th. The December Opportunity Schedule can be found HERE. At our Annual Strategic Planning Session, partner/owner Mark Woodroof made an interesting comment. Snooze you lose, everyone want’s a slice of the shrinking pie…will you go hungry? I think he’s right…what do you think? Note: Both written sales and listing inventory bounced in October. 2. Monthly Real Estate Report, 2007 - Month by month breakdown of listing inventory and written sales by price range. Note: 6 months is considered a balanced market - The Woodlands has an inventory level under 6 months for at least 2 years running. There you have...lots of data to consider - bottom line, The Woodlands is a uniquely healthy real estate market. Forest Gump - one of my Top 10 favorite movies of all time. I'm excited about our team success in October. 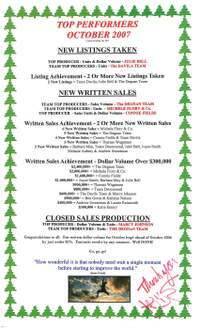 Written sales were up over 20% compared to October of 2006. Especially noteworthy in light of all the mental and emotional unease about real estate markets. 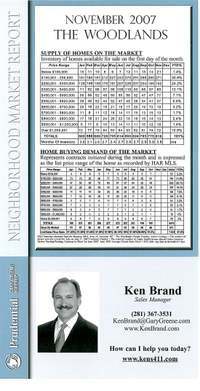 The good news - Houston and The Woodlands real estate markets are stable. I'm surrounded by high flying, service minded, top performers - good things continue to transpire - thanks and congratulations to everyone on the team. I'll bounce into the office Monday morning to work on October's Market Report Data and other stuff. Then I'll ricochet out the door and pogo my way to Austin, Tuesady I'll be attending a day long Social Media Club Workshop - titled "Starting The Conversation"